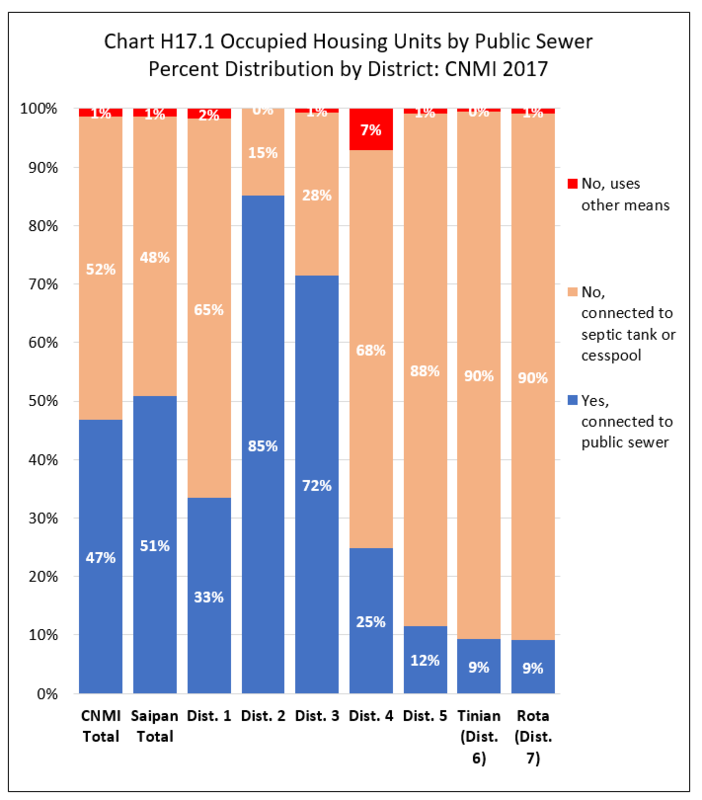 Units connected to public sewer was 46.7% of all occupied housing units in the CNMI in 2017; units connected to septic tank or cesspool was 51.9%; while units using other means was 1.3%. The percentage of occupied units connected to public sewer higher in Saipan (50.9%) and lower in Tinian (9.3%) and Rota (9.1%). The percentage of occupied units connected to septic tank or cesspool was higher in Tinian (90.3%) and Rota (90.1%) and lower in Saipan (48%). Within Saipan, the percentage of all occupied units connected to public sewer was highest in District 2 (85.1%), followed by District 3 (71.5%), lower in District 1 (33.4%) and District 4 (24.9%) and lowest in District 5 (11.5%). The percentage of all occupied units connected to septic tank or cesspool was highest in District 5 (87.5%) and lowest in District 2 (14.9%). See Chart H17.1 and Table H17.1 for detail. 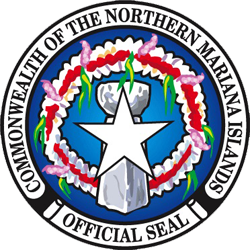 Table H17.1 Occupied Housing Units by Public Sewer, by Island, and by District: CNMI, 2017 4th Qtr.